ARTICLE: When “gossip” goes too far, and lies become commonplace, libel is often lurking. When “Gossip” goes to far and lies become common place, LIBEL is often lurking. In the workplace today, and perhaps over the last quarter century, gossip has become rampant in our daily lives, an almost accepted byproduct of shared space, break-time stress relief, “innocent” fodder. 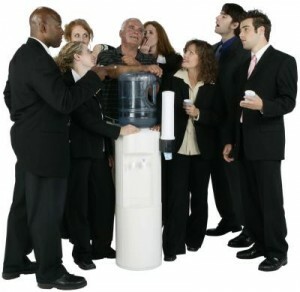 What used to be “water-cooler conversations” have often turned into “lunch-hour discussions” that sometimes progress into “debates over drinks”. You get my drift…the progression of focusing on everything external, be it a person, an event or a competitor, instead of focusing on the internal (i.e., our company, our relationships, ourselves) has increased exponentially over the last decade. Unfortunately, in the world of social media, gossip can spread like a wild-fire and move from internal discussions to visceral attacks on colleagues, supervisors, subordinates, our own company or a competitor. While many a persons base their beliefs on the old premise of “where there is smoke, there is fire”, the truth is that gossip is like a game of telephone…It grows, twists and turns into something often unrecognizable from where it sprouted. The saddest reality of all is that today, gossip has often lost its “innocence” (if it ever actually could claim some), and has exploded into an accepted place in society. However I would like to consider something that has seemed to lose it’s relevance when these juicy little tidbits of information become the focus of ones day…what happens when this “hot-topic” is found to be inaccurate, baseless and completely off the mark? Eleanor Roosevelt is credited with saying that “great minds discuss ideas; average minds discuss events; small minds discuss people”, but it is Ty Howards’ quote that strikes me as more pertinent: “Gossip is shared by the misinformed, who often sound like fools, while creating drama and disorder.” “Drama and disorder” – those seem like such “Hollywood” words. But when it is your reputation, your company, your life that is called into question, or threatened, because of a rumor, or speculation, or success (envy is called the green-eyed monster for a reason), “innocent” gossip has long been thrown out the window. Protecting oneself, one’s employee, ones livelihood, ones life, is guttural. To defend something, or someone, of great importance is a primal response, exhibited often as “fight or flight” since the beginning of time, and is becoming increasingly necessary in order to safeguard success, be it personal or professional, in our lives. For the remainder of this article, I am going to tackle this, or attempt to at least look at it, from a professional standpoint. While they both can cross-over at anytime into the other realm, I have seen such a dramatic increase in toxicity in the work community, that I would like to at least look at the long-forgotten in today’s world of Wiki-leaks, CIA bombshells, and such…the “unjustly attacked innocent”, because they do still exist. Recently, I witnessed a situation in my industry that was literally so bothersome, that it reminded me of an “after-school special” or an episode of “20/20”, and yet it was so personal that I could not not take the time to investigate. While this may sound unremarkable for an industry like my earlier-referenced “Hollywood” or the often ruthless “Wall Street”, I happen to work in a small, little niche known as the “HOA Industry”, which, while involving some white-collar professions, mainly employs blue-collar workers and is founded upon involvement of everyday homeowners who choose to donate their time as volunteers. In order to understand the absolute depth of deception in the incident I will further speak on, it must be noted that the above-referenced “volunteers” do not specialize in their industry; they are simply trying to fill a void, offer some service, spark some change or run a personal agenda they believe will make things better in the community in which they live. At best, some of these volunteers go above and beyond the call of duty by attending industry-specific educational events in an effort to glean some knowledge on how best to manage their position. They are often faced with making multi-million dollar budgetary decisions, levying disciplinary actions on their neighbors and enforcing increasingly technical guidelines established by our legislature. These unpaid volunteers, who simply wanted to help the community in which they live, are all too often put in impossible situations and the turnover on these boards is monumental. It is truly like asking the PTA to manage the Department of Education; these volunteers cannot possibly have expertise in the area which they have chosen to serve, yet they are often expected to make incredibly specialized decisions with limited knowledge and conflicting information. It is not a perfect system, yet it is our reality, our niche, our choice and we value those that take the time out of their “real” life to do just that. The situation I referenced above, and the catalyst for this article, came about because a disgruntled, old-money, big-name company decided that a smaller, also long-standing, but more up-and-coming company was a threat to their business. The company was such a threat to the market share of this big-name bully, that the best defense was not to look internally and focus on their own business practices, but to put pen to paper defaming their competitor, with baseless allegations, misinformation and speculation. They took it a step further, by publishing said document (yep, signed, sealed and delivered) to anyone in the industry that might listen. I have heard many descriptions of this action….”crazy”, “ballsy”, “incredulous”, and so forth. But what absolutely shocked me, and quite frankly rocked me to my core, was not the insanity of this action independently, but the almost immediate discussions that followed. Instead of questioning the authenticity of the writer or the outlandish accusations slung into the workplace abyss, the innocence or, more accurately, the presumed “guilt” of the company attacked, was the hot button issue. In today’s culture, we have come to a point of idiocy in our simplicity, whereas if something is written, especially if it is “published” in print or on the world-wide web, it is presumed to be “truth”. Because of this gullible mindset, in this instant the “assailant” gained ground, while the “besieged”, blindsided by unfounded allegations and out-right lies, were left shell-shocked. Going back to that guttural, fight or flight response, I can only imagine the restraint it took to not fire back; to analyze all possible responses and strategize a course of action. To my dismay, I have dug a little deeper and found more and more instances where this type of action, libel in it’s clearest definition and actionable in a court of law, falls by the wayside. If you are like me, the burning question screaming in your mind, or maybe from your mouth, is “why would anyone who is innocent not take immediate legal action?” The sad reality that I have found is that the primary reason for a lack of aggressive response is because to go on the attack, to attempt to right the wrong committed against you, is to put yourself, your employees, your company at risk. To defend ones self, or ones company, means exposure of all that you are, all that you have done, all that you have accomplished. To defend an individual accusation, one must be willing to expose every aspect of your past…every job, every budget, every correspondence and, even for those with nothing to hide, this reality is daunting. Let’s face it, no matter how efficient you are, how much integrity you have, how much effort you place in “doing the right thing”, none of us are perfect. No one wants to have their lives gutted, explored, investigated, even if it is to defend your innocence and then extend it a step further to their employees. On a primal, good versus evil basis, I wish someone would; in fairness, I am sure someone has. The fundamental sickening reality here is that more have not, for understandable reasons. So, what are we left with, when all is said and done, in this “evolved, creative workplace culture”, when truth gives way to gossip and freedom of speech breeds a lack of responsibility. I would like to believe that honesty, integrity, relationships and truth prevail. I hope that one’s past works, one’s reputation; one’s loyalty outlasts the negatives. What I know is that in a cut-throat, competitive culture, sometimes these things are lost in the chaos. But what I also have learned is that longevity is a rare commodity and it is hard-fought and, often, battle-earned. It matters, both personally and professionally. It is a legacy left behind when all the smoke clears, and in that alone, you will often find truth, honesty, and integrity. So, listen openly, but look closely, because while “where there is smoke, there is often fire”, the origin of the smoke may be far different than originally assumed.